Dr. Jeffrey A Holmboe, MD is a Doctor primarily located in Bend, OR, with another office in Bend, OR. He has 35 years of experience. His specialties include Foot and Ankle Orthopaedics and Orthopaedic Surgery. He speaks English. Dr. Holmboe has received 2 awards. 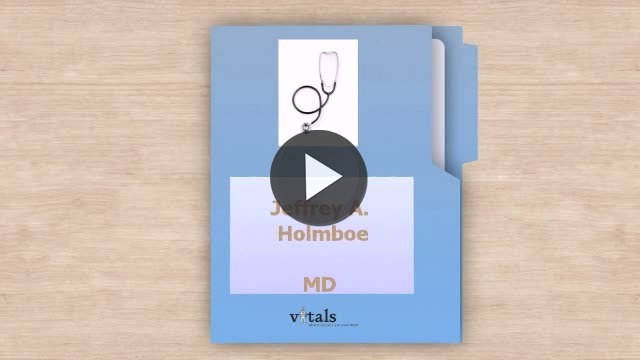 The overall average patient rating of Dr. Jeffrey A Holmboe is Great. Dr. Jeffrey A Holmboe has been rated by 15 patients. From those 15 patients 4 of those left a comment along with their rating. The overall rating for Dr. Jeffrey A Holmboe is 3.8 of 5.0 stars. I had dealt with Jeff Holmboe for the last 17 years, he has diagnosised fractures that radiolgist have missed after numerous x-rays. We have called him on weekends and he has always met us in the emergency room or at his office if need be. He has always called to check up on his patients( after surgery,Or a grandchild with a fracture) himself. This is the kind of doctor that we appreciate. He is not about the all mighty dollar like so many doctors are out to make. He truely cares about his patients, if he isn't sure he will tell you he's not sure let's get a second opion or a further test to be on the safe side. This is something I truely respect in my doctor. Take a minute to learn about Dr. Jeffrey A Holmboe, MD - Foot and Ankle Orthopaedics in Bend, OR, in this video.